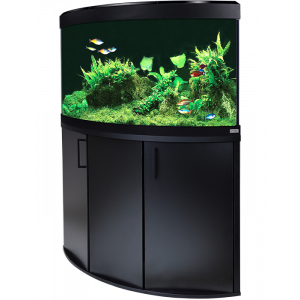 The Venezia 190 tank is a corner bow fronted aquarium. It makes dull corners come to life with light, movement and colour. The tank has holes in the bottom to feed the external filter in to the tank to save having pipe coming out the back of the tank. 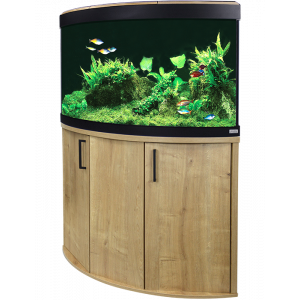 The set up is available in three different colours – Black, Oak, and Walnut. 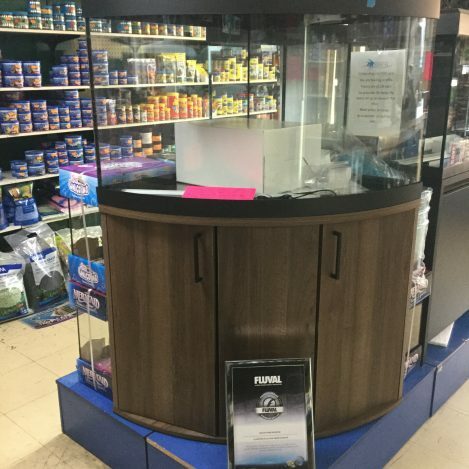 We sell the external filters separately but they are only available in store.